There’s a never-ending need for high-quality digital imaging products in the medical equipment industry. However, it’s not enough to simply provide these digital imaging products, it’s essential that they operate at peak efficiency for many years. Portable health equipment is also in high demand, especially equipment with the ability to live-stream data that use SSD industrial. Though there are many suppliers for similar products, many of them entail a high overall total cost of ownership. These digital imaging and portable medical devices need to stand up to a lot of stress; they’re utilized in extreme environments, and are often needed on a 24/7/365 basis. To function properly and ensure data security, these devices must be reliable and possess the capacity to provide high-performance memory and data storage. This has made Quality Control one of the most essential elements for current medical devices, as well as their storage systems. 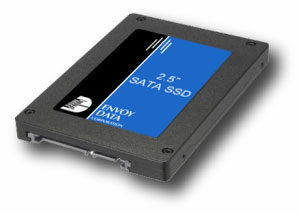 Envoy Data Memory prides itself on defining the cutting-edge of medical products. As such, we serve both our patients and clients with only the highest levels of performance, reliability, and product life. By using the smallest form factors, Envoy also provides the best total cost of ownership (TCO) that’s currently available in the medical equipment industry. To contact us, simply fill out the information in the fields below.